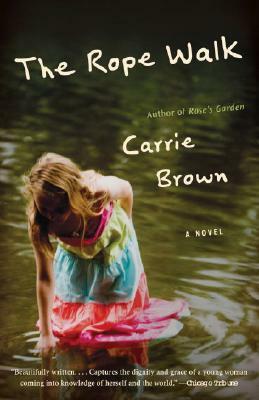 In The Rope Walk, Carrie Brown crafts a luminous story of a young girl's coming of age during a crucial summer in New England. On her tenth birthday Alice meets two visitors to her quiet town: Theo, the African American grandson of her father's best friend, and Kenneth, an artist who has come home to convalesce. Theo forms an instant bond with Alice that will indelibly change them both. The pair in turn befriend Kenneth, and decide to build a “rope walk” through the woods for him, allowing to make his way through the outdoor world he has always loved. But their good intentions lead to surprising consequences, and Alice soon learns how different the world of children and adults really are. Carrie Brown is the author of four novels and a collection of short stories. She has won many awards for her work, including a National Endowment for the Arts fellowship, the Barnes and Noble Discover Award, and the Janet Heidinger Kafka Prize. Her most recent novel, Confinement, won the Library of Virginia Book Award. She lives in Virginia with her husband, the novelist John Gregory Brown, and their three children. She teaches at Sweet Briar College.